Industrial-grade VPFR series (Viewing Pane Fixed Reinforced) infrared windows from IRISS will enable thermographers to survey critical electrical applications more efficiently and much safer than before. NFPA standards recommend infrared inspection under fully energized conditions, but PPE requirements and panel cover removal and reinstallation are time-consuming and therefore costly. 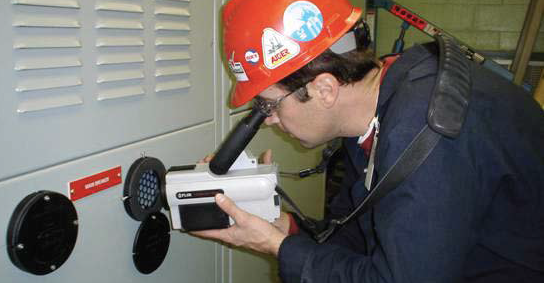 Use of the VPFR series of products nearly eliminates the risks associated with infrared electrical inspection by providing companies with a noninvasive, closed-panel inspection methodology.Thermographers inspecting through the window are never exposed to energized conductors or circuit parts, and are not engaged in risk-increasing behaviors as outlined in the 130.7(C)(9)of NFPA 70E. Consequently, the elevated levels of PPE prescribed by 70E for invasive surveys are not required when utilizing the IRISS VPFR series of infrared windows, thereby minimizing survey time while maximizing safety. The past several years have seen a move toward the use of transmissive polymers as a lens material due to their inherent resiliency and stability. These materials are unaffected by mechanical stress and will suffer no effects on transmittance. They are stable: nonreactive to moisture, humidity, seawater, and a broad spectrum of acids and alkalis - in short, they are well suited to handle the rigors of the industrial environment. Polymers are also extremely resilient. Because they are malleable, they will tend to absorb impact rather than shatter. When reinforced, with specially engineered grills, the optic is capable of resisting a sustained load. As a result, the only long wave compatible IR window optic capable of passing industry standard impact tests is a reinforced polymer optic. A reinforced polymer optic can maintain a consistent thickness regardless of window diameter because the cells of the reinforcing material remain a consistent diameter. Consistent optic thickness means consistent transmission rate - regardless of window size.